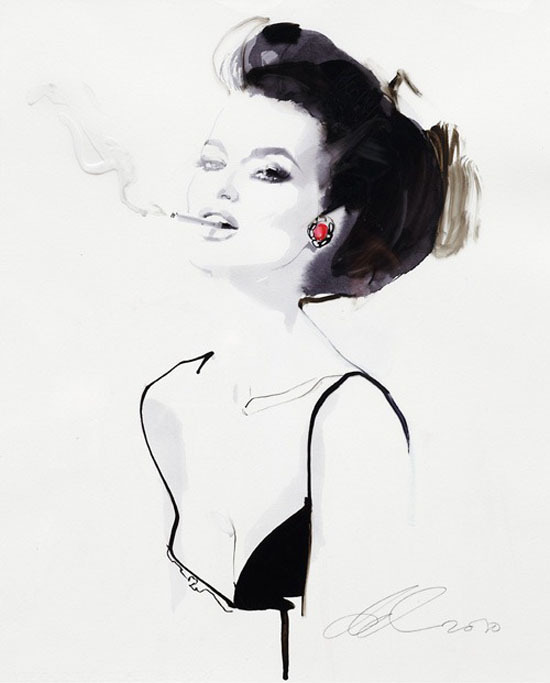 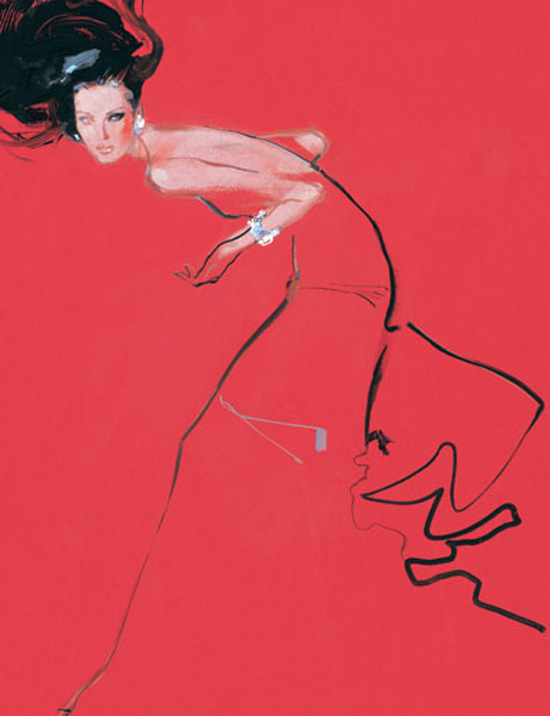 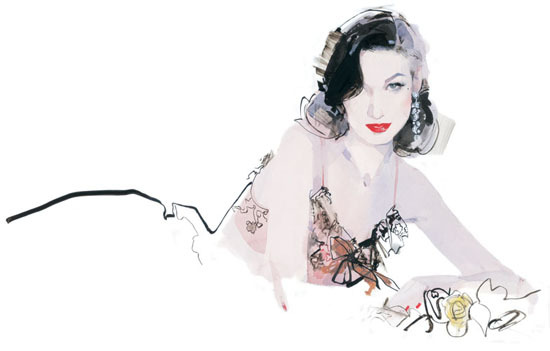 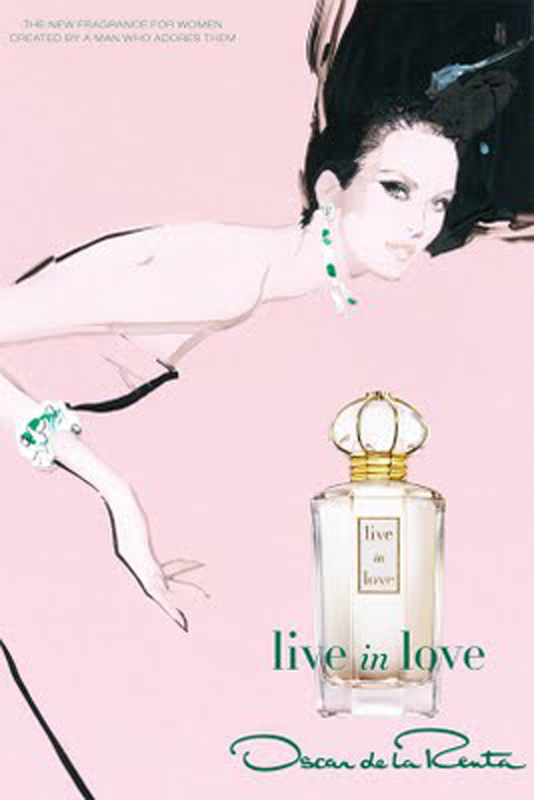 David Downton is an english illustrator with a great sense of art. 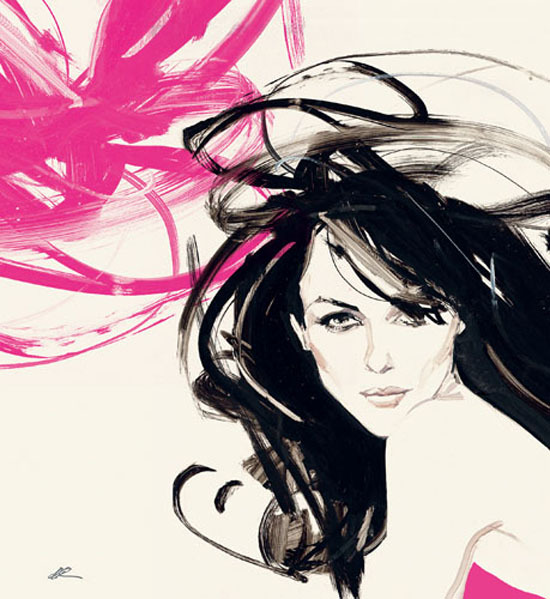 He is one of the world’s leading fashion artists, but he is known by doing almost everything like Advertising, packaging, Cook books etc. 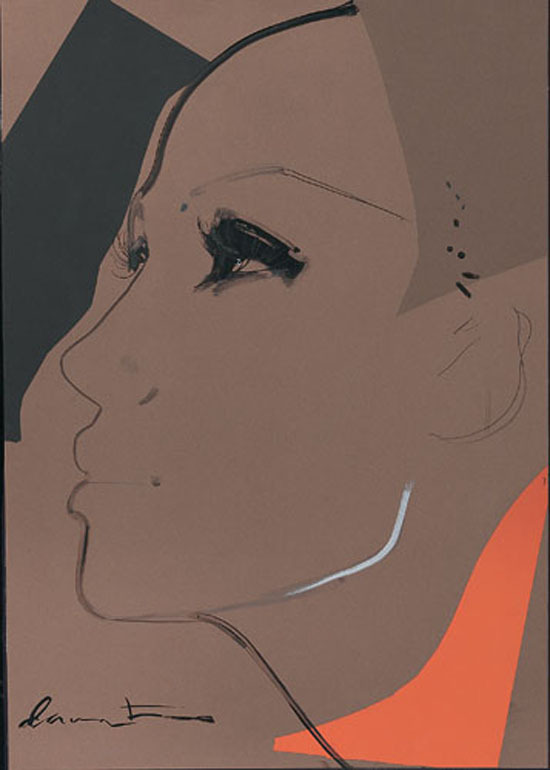 Very elegant and contemporary, David get to the soul of the painting, showing exactacly what we want to see. 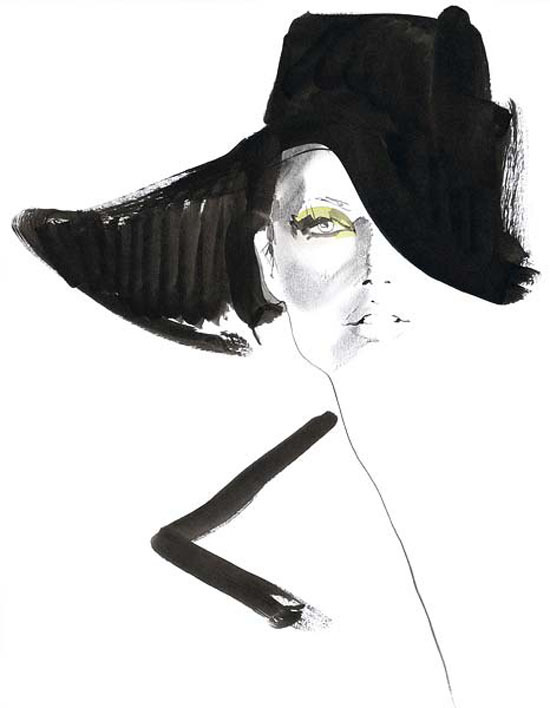 The man is considered a Bible on fashion illustration. 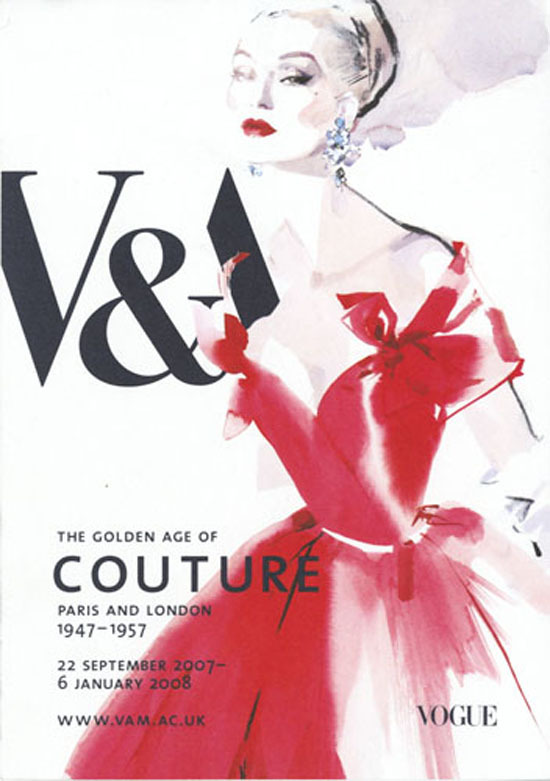 David's natural ability with the human form, spontaneous approach and economy of line rapidly led to a hugely successful career working with, among others, Vogue, Harper's Bazaar, V magazine, Chanel, Tiffany's New York, Van Cleef & Arpels, Harrods, TopShop, Lancome and the V&A Museum. 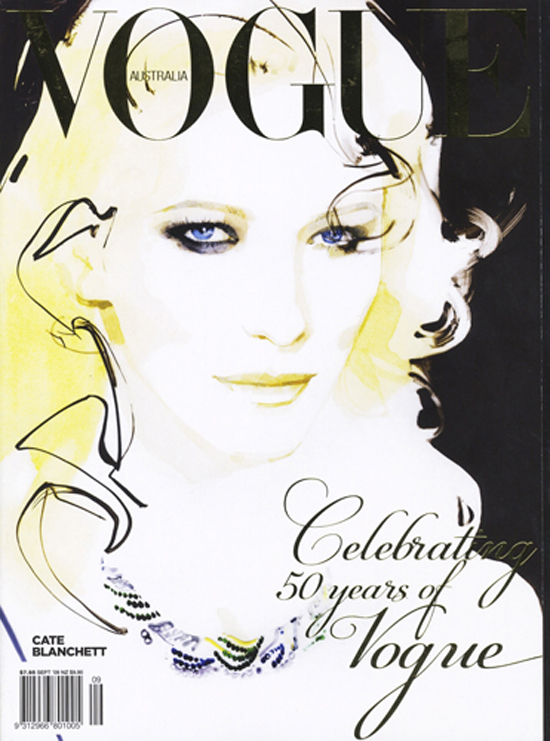 In 1998 he started his portfolio of portraits of some of the world’s most beautiful women, including Erin O’Connor, Paloma Picasso, Catherine Deneuve, Linda Evangelista, Carmen Dell'Orefice, Iman and Dita Von Teese. 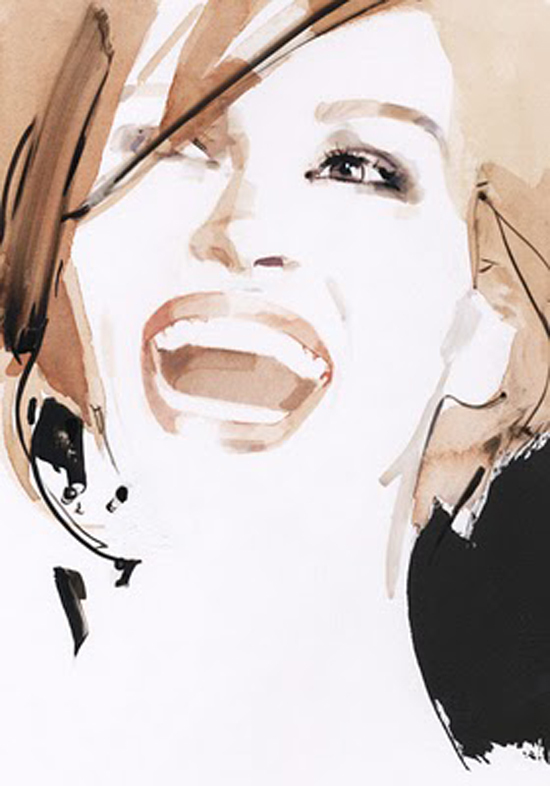 In 2007 he launched Pourquoi Pas?, the only international periodical dedicated to fashion illustration. 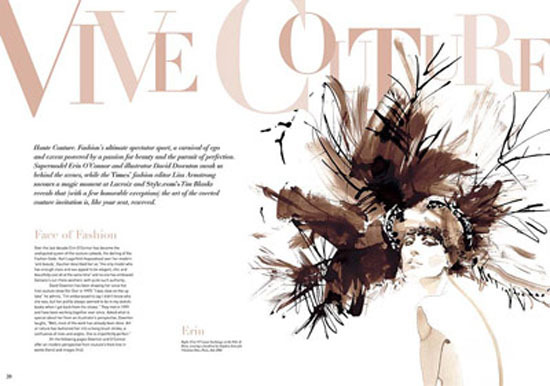 The printed version has 76 ad-free pages and is printed on heavyweight uncoated stock in a limited edition of 1500. 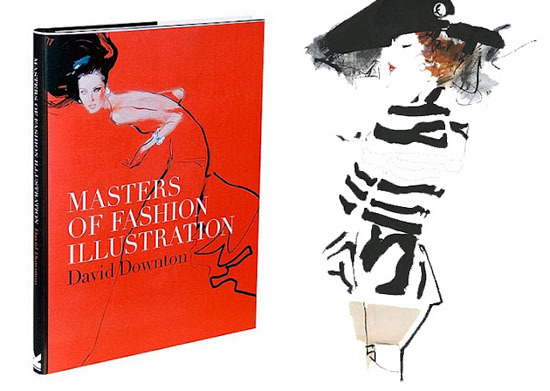 In 2010 he launched Masters of Fashion Illustration, a book that celebrates the dazzling work and colourful lives of the 20th century's greatest fashion artists, from Giovanni Boldini to the poet of the glam slam 80s Tony Viramontes and a portfolio of Downton's own work. 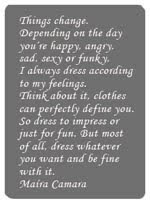 Publicado por Myself Fashion Show en 6/16/2012 08:47:00 p. m.